An easy-to-understand graphical overview of the most important elements of music. 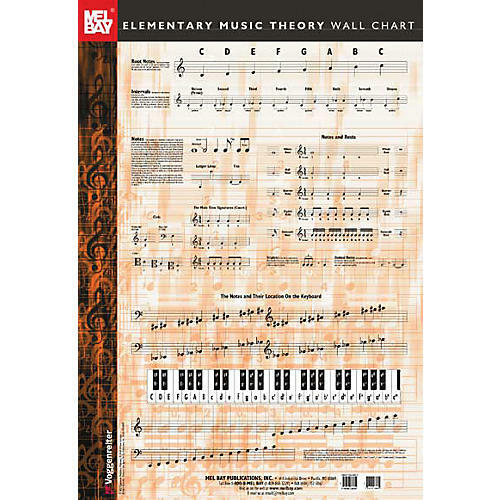 The Mel Bay Elementary Music Theory Wall Chart gives a graphical overview of note names, intervals, note and rest values. You'll also find information about counting, clefs, and other elements of notation as well as the notes on the staff and their location on the keyboard.